Lela the fawn is an adorable friend for baby! 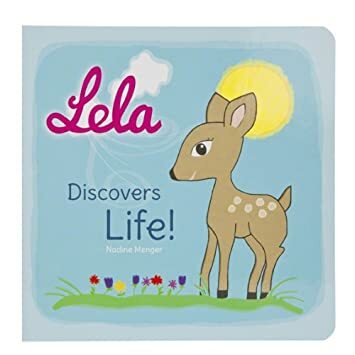 In the children's board book, Lela Discovers Life!, young ones will see Lela tell her own story about discovering the big, bright world. Lots of adjectives and simple illustrations are used to describe what Lela sees and does. Written by Nadine Menger, Lela Discovers Life! is a board book with high quality, glossy pages. As a companion to the board book, the Lassig Lela Plush Toy is made of soft plush and resembles a real fawn. The book and plush are sold separately.